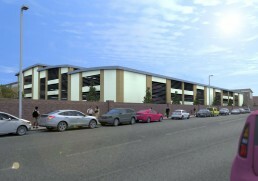 The practise was commissioned in the summer 2012 to develop proposals for a proposed multi-storey car park at Sunderland Royal Hospital. In excess of 400 additional parking spaces are to be provided over 4 floors with ancillary accommodation to include public WC’s and a security control room. The building is to be fully monitored by C.C.T.V. A number of battery charging points are to be incorporated into the design for electrically operated vehicles. 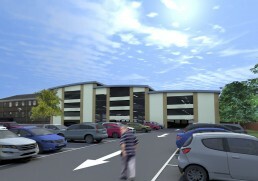 The scheme commenced on site late 2013 with a view to completing summer 2014.